In 1900, St. Patrick’s Church was named Detroit’s cathedral. And in 1908 the Catholic Church in the United States was removed from mission status by Pope St. Pius X on June 29th when he issued the apostolic constitution, Sapienti Consilio. In the meantime, changes were occurring (as usual) at St. Mary’s. 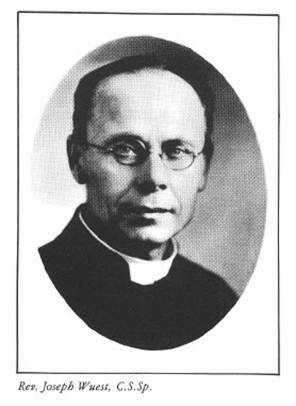 In 1907 Father Joseph Wuest assumed the pastorate from Father Charles Gruenwald, who had succeeded Father Schwab when he died in 1903. Father Wuest led the parish’s drive to pay off their debt and personally built the beautiful grotto of Our lady of Lourdes, the Garden of Gethsemane, and the Grotto Baptistry. During the years of 1906 to 1912, a great number of Hungarians arrived in Detroit, with many settling in the vicinity of St. Mary’s. Two societies, St. Stephen’s for the men and St. Elizabeth’s for the women, were then formed and continued to flourish even after many of that nationality had moved their residences to other parishes. In 1901 a large number of blacks moved from the South to Detroit. For the Catholics among them, the Holy Ghost Fathers founded a Mission in the lower part of St. Mary’s School, where they held services for the first time in September 1911. The St. Mary’s Poor and Orphan Society, until now a parochial organization, became a unit of the diocesan St. Vincent DePaul Society in 1911. Its devoted members had often aided in projects outside the parish and now they assisted in organizing the black Catholics of the city. By June 1914, the black congregation had so increased in numbers that St. Mary’s Episcopal Church, located on the corner of Beaubien and Eliot, was purchased for their use, thanks to the efforts of Father Wuest in convincing Bishop Foley that this would be a worthwhile move. It was remodeled and converted into the St. Peter Claver Church with one of the Holy Ghost Fathers, Father Charles Kapp, as first pastor. The first black Catholic Church in Detroit, it was blessed on Thanksgiving Day, November 26, 1914. The black community still reveres the devoted efforts of Father Wuest and a young black man then studying for the priesthood, Father Norman Dukette. Their physical and spiritual guidance were responsible for what was then the only black Catholic church in the city. 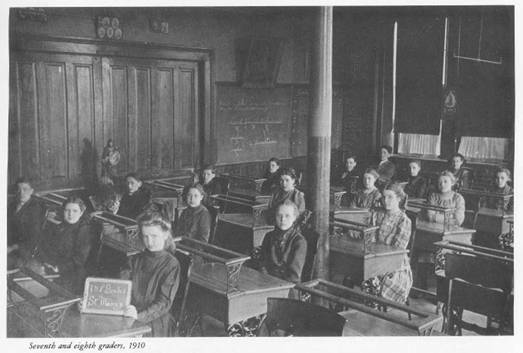 It grew quickly and by 1936 was able to support a school, staffed by the Felician Sisters. In the words of a local newspaper, “Majestic St. Mary’s Church, that lends itself so well to grand occasions” was the host in September of 1914 to the 22nd annual convention of the German Catholics of the State of Michigan. It opened at a pontifical high mass celebrated by the Right Reverend Edward D. Kelly, D.D., auxiliary bishop of the diocese, and brought together the widely scattered descendants of the State’s multitude of German immigrants. This was a time of great concern for most of these faithful, because of the war that had just begun in Europe. The United States had proclaimed neutrality, but many German-Americans still had family in “the old country”. Patriotism, however, was at a fever pitch in Detroit. Spectacular “Liberty Bond Parades” were formed to spur interest in bond buying. They worked. Detroit always surpassed its quota. Bishop Foley died on January 5, 1918, at a time when the diocese had 318 priests serving 246 churches and missions. The Catholic population, in his three decades, had increased from 120,000 to more than 350,000. Schools and their enrollments had doubled. Of the 105 parishes he had begun, 33 were foreign-speaking.